The SmCo magnets are the rare earth magnets which are mainly made from Samarium and Cobalt alloy. Being the strong permanent magnets, they are renowned for the first commercialized magnets. Samarium Cobalt (SmCo) magnets are more expensive than other class of magnets, but they have higher coercive force and higher Curie temperature that can be widely applied at high temperature. The SmCo magnets are one kind of powerful magnets which are brittle and hard to machine. With the high performance in both flux density and energy product, the Samarium Cobalt magnets are used for many hi-technology products. Meanwhile the high corrosion resistance and stable magnetic properties are also two features of this magnet. However, due to high cost of raw material, some of them were replaced by sintered NdFeB magnets at the moment. 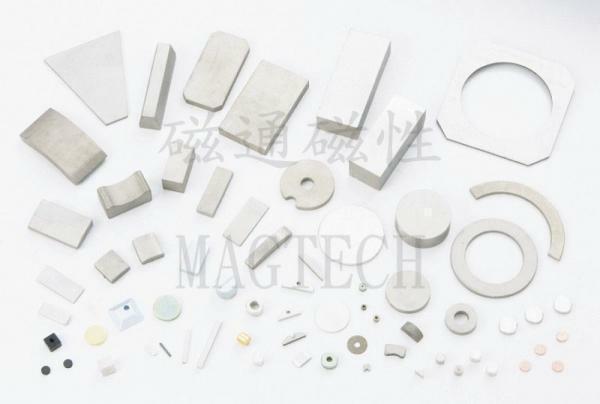 Megtech Magnetic Products are available in different grades and various materials of magnets that utilized for different industrial applications. From NdFeB magnets, Ferrite Magnets, Rubber Magnets to SmCo magnets are cost-effective and high quality that you can rely on. To learn more about our product line or detailed specifications, please browse at our site or get in touch with us directly. A. Sm 1 Co 5 - fit to be used in Audios, Sensors etc. B. Sm 2 Co 17 - fit to be used in Holder, Generators, Tools etc.